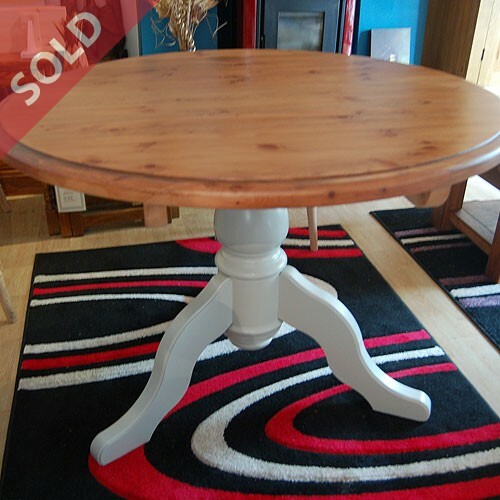 Round pedestal base dining table with pine top and painted painted pedestal base. 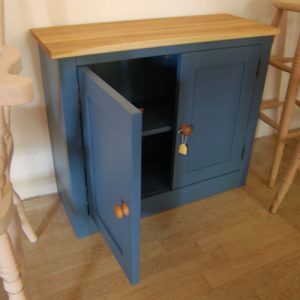 The table top detatches easily with four screws for ease of transportation and setting in place. 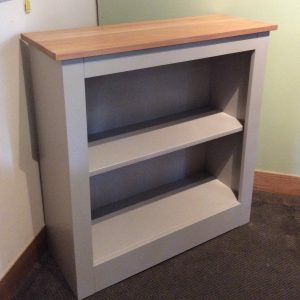 Base: Solid pine, painted in pale grey finish. 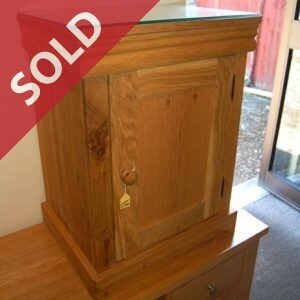 Top: Solid pine, durable lacquered finish.